Have you been investigating and fixing IT issues for a long time? If so, you’ve seen first-hand how certain factors are affecting application performance, and you are probably expert at coming up with a theory on why certain business transactions are slower. It is estimated that when addressing an end user’s complaint, between 80 and 90% of the effort is troubleshooting. In other words, IT is spending the vast majority of its support cycles reacting to an issue instead of preventing one. The problem is, for IT analysts and other IT professionals investigating deteriorating application performance, that the starting point is too often just a hunch. They may speculate that the document load transaction is slower on specific application versions, and that the record search transaction is taking much longer over VPN. Or, they may suspect that certain business activities are performing poorly only on certain desktop configurations or for specific users. So you’ve got that hunch… what now? If only you and your team had a solution that could enable theories to be quickly tested against actual data… Such solution will not only help confirm that hunch, but would even help avoid the expensive troubleshooting data collection session with all those affected users. Aternity’s End User Experience Monitoring (EUEM) can help! Our Commonalities Analysis dashboard provides the power needed to help you troubleshoot a single activity and find a single common thread that defines the issue. However, if your problem is more complex, perhaps involving more than one activity, and requires viewing several common and intersecting threads, Aternity’s Analyze family of dashboards may be a better starting point to test your theory. To give you can example, the Analyze Activity Trends dashboard allows you to investigate troubleshooting suspicions by stepping back and viewing activity performance over a selected time period, while comparing this performance between different values of a selected attribute and narrowing down further as relevant. 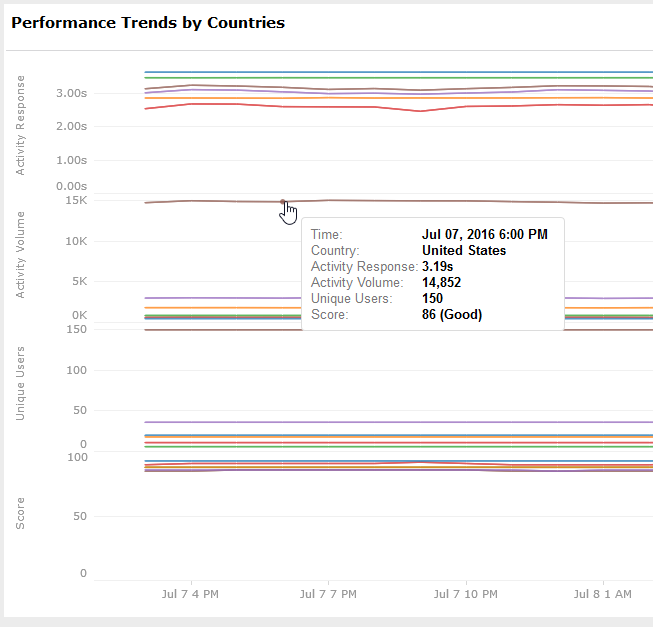 One of our long time customers, a healthcare company has recently used the Analyze Activity Trends dashboard to compare the activity response times between different SharePoint servers over the past week to see if any performed poorly over that time. Other enterprises compare activity response times between different device types, or locations, or carriers. If you identify one that performs differently from others, you have a solid starting point to extend your investigation. Since this dashboard is part of the Analyze family, you can use the settings on the right side to slice and dice the data to suit your purposes, and display complex correlations between as many attributes as required. The set of Application, Breakdown, and Filters choices allows you to change the dashboard to present a different view. Essentially, the Breakdown field chooses the lines to display in the charts on the left. For example, selecting Device Types as your Breakdown will display a line for each device type in each graph. You can narrow the data by choosing an attribute and its value in the Filters section, to view only the data when the attribute had that value. For example, you can filter down to small mobile devices only, if that’s what you’re interested in. The next chart shows the performance trends based on the selections made on the right, and for the timeframe chosen above. For your convenience, by default the dashboard shows activity response, activity volume, unique users, and score for all applications and activities over time, broken down by device type. Remember that choosing the Breakdown attribute on the right will change that breakdown and will display a separate line for each value of that attribute. On the other hand, specifying a filter (which has similar items to the breakdown) will display only the data where this filter item has that value. Sometimes you need a more complex view. For example, you are investigating an issue involving slow application launches, and suspect that launch times are impacted by the device model. To check your theory, you first want to expand your view to a larger timeframe, say the last 30 days, and narrow your selection to only Launch activities. As you analyze the chart data as shown on the left side of the dashboard, it good to understand the differences between the Activity Response and the Score charts. The Score chart is calculated using automatic baselines, and is therefore useful in highlighting recent (acute) changes in performance, but will be less effective if the slowness persists and the baseline is adjusted. The Activity Response chart, on the other hand, provides a more absolute indication of slow versus fast and will be more useful for long-lasting (chronic) issues. Consider the following example: an email usually opens in 1.5 seconds. Aternity establishes 1.5s as the expected response time, and uses it to create a warning (minor) baseline and a significant (major) baseline. If the application becomes slower and now emails take 5s to load (a recent acute problem), it is above the expected baseline and the score would therefore be low. However, if the activity remains slow for several weeks, the system automatically adjusts its baselines around the 5s response time and will eventually give it a good score, which is misleading. Therefore, for such chronic problems, use Activity Response as a better indicator of the differences in performance between slow and fast performance. What I hope you’ve been able to glean from this post, is that Aternity’s Activity Trends dashboard helps you test your troubleshooting theories by stepping back and viewing the different key aspects of activity performance over a selected time period. 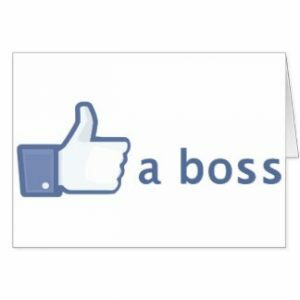 Even comparing different values of one attribute over that time and narrowing down the data further provides you with the visibility you need to troubleshoot like a boss. Since this is an Analysis dashboard, it offers you many configuration options to change the view. We’ve highlighted above a couple of configuration examples to show the performance trends by country for all applications, and trends by model for a specific activity. For further information, you can also refer to this use case’s full documentation, or enroll in Aternity’s free self-training interactive class that covers use cases.